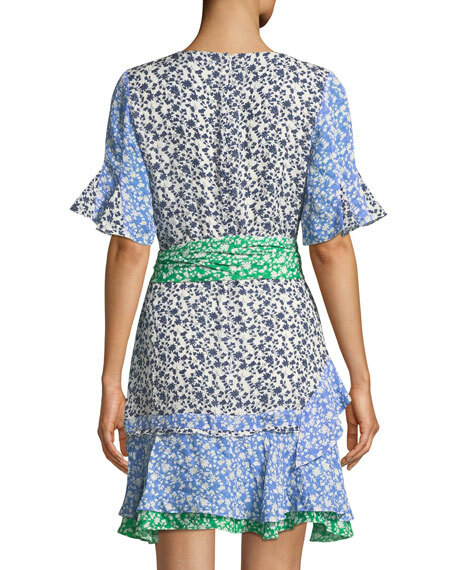 Tanya Taylor silk dress in mixed ditsy floral-print. Wrap front ties at waist. For in-store inquiries, use sku #2604406.